The trees were situated outside police commissioner's office in Civil Lines. With the Bharat Van under threat of losing its green blanket, the environmentalist and green activists across have become watchful towards any kind of threat posed to the trees. One such green activist Shrikant Deshpande’s alertness helped saved 3 trees that were aged over 100 years. Deshpande found certain laborers attempting to cut down a neem tree situated outside the police commissioner’s office in Civil Lines. When asked, he was told that the contractor was told to fell four big trees in order to accommodate an entrance gate. It was the garden department of Nagpur Municipal Corporation (NMC) that had issued permission to chop the tree. 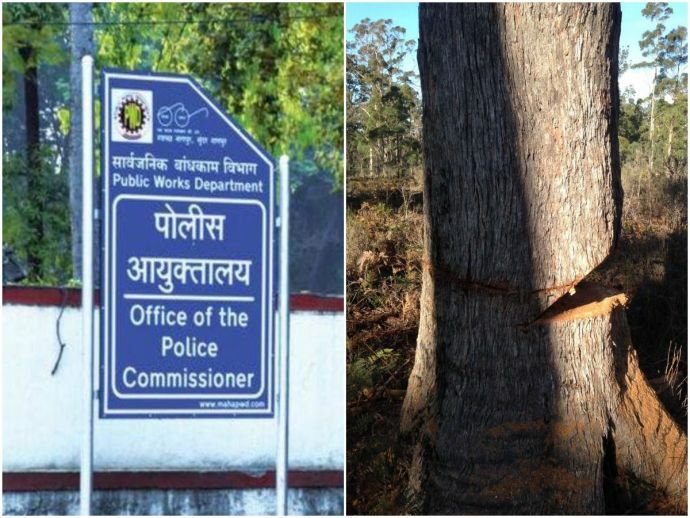 According to a report by an English daily, around 60 heritage trees were cut down at the commissionerate to build a new administrative building. Most of these trees were planted in the pre-Independence era by the Britishers. When the authorities were quizzed about exploring the transplanting option, they had no legitimate explanation. This irked the activists which got them protesting the tree felling. Deshpande was soon joined by environmentalist Sharad Paliwal, retired wing commander Arvind Pande and few others at the commissioner’s office. All the protestors placed themselves in front of the trees to stop the contractors from chopping the trees. Officials of the garden department had to intervene when the argument got intense. One of the four neem trees met a tragic fate by that time. “The girth of the tree was 11.9 feet. It was easily over 100 years old,” said Deshpande. The other three trees have been saved from felling but only temporarily. “The permission to fell these trees was given a year back. Officials are now exploring alternate location for the new gate,” said environment activist Kaustav Chatterjee.